India v England Test series starts today with the first test at Edgbaston. And guess what?? The first test will be the ‘Landmark Test’ for us! It’s the 1000th Test Match for England men’s team! Ours is the first team to accomplish this feat. England played their first ever Test match vs Australia at the MCG in Melbourne from 15th to 19th March 1877. England’s first ever Test Team. pic credits : ICC. Apart from England three other nations who have played 500 or more Tests are Australia ( played 812 Tests) , West indies ( Played 535 Tests) And India ( Played 522 Tests). The ICC (International Cricket Council) congratulated our Teamahead of this historic game tomorrow. Out of the 999 Tests that our boys played since their first ever game in 1877, England have won 357 Tests and lost 297 while 345 games ended in draws. They have played 50 Tests at Edgbaston since their first ever at the venue in May 1902 against Australia and have won 27 games, lost 8 and 15 ended in draws. Marcus Trescothick made record of scoring century in both the innings of a Test match on only one occasion against the West Indies in 2004 at Edgbaston. Marcus Trescothick became the first England player to score a century in both innings of a Test match at Edgbaston, against the West Indies in 2004 scoring 105 & 107. England defeated Australia by two runs in the second Test of the 2005 Ashes at Edgbaston. what a game it was!! absolute thriller. Freddie Flintoff and Michael Vaughan celebrating the win. Alastair Cook scored 294 against India amd England became the number one ranked Test team. England also made their highest innings score in a Test match at Edgbaston, which was 710/7. Alastair Cook scored 294 – the highest score by any batsman at Edgbaston in the 3rd Test against India in 2011. England registerd 408, their then highest ever ODI score in the first ODI against the Blackcaps in 2015 at Edgbaston. 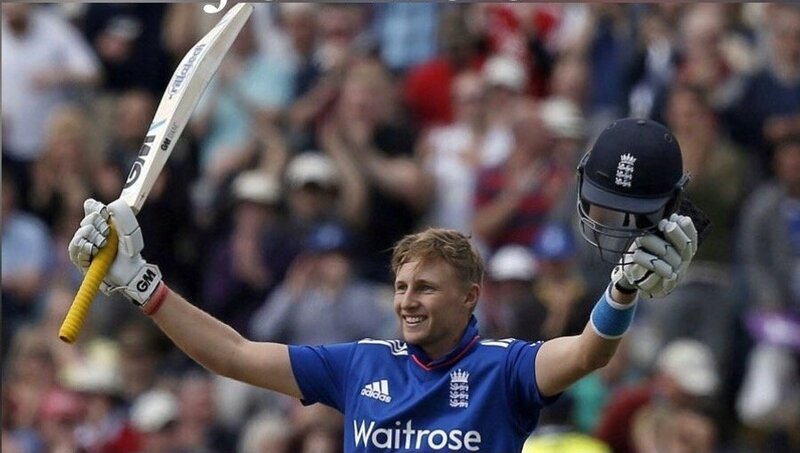 England also recorded their biggest margin of victory of 210 runs in the same match with Joe Root and Jos Buttler both scoring hundreds. 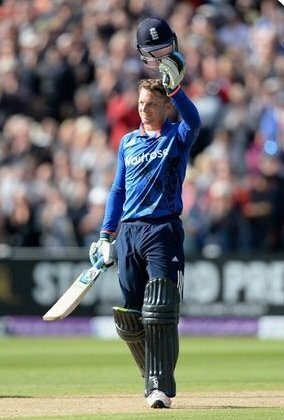 Buttler got his 2nd ODI hundred while Root got his 5th. In 2016 in the 2nd ODI between England and Srilanka at Edgbaston Jason Roy and Alex Hales went on to put a record 256 runs the opening partnership which resulted in the highest successful run chase without losing a wicket in ODI history. Jason Roy and Alex Hales are all smiles..
Edgbaston hosted the first day/night Test match in England between England and West Indies last year which started on 17th August 2017. England beat the West Indies by an innings and 209 runs within 3 days with Alastair Cook and Joe Root both scoring hundreds. Stuart Broad became the second-leading wicket taker in Test matches for England afer Jimmy Anderson as he surpassed legendary Sir Ian Botham. . The West Indies lost 19 wickets on day 3 of the match, the first time they lost 19 wickets in a single day of a Test match. It was also the 50th Test match to be held at Edgbaston. Stuart Brod with Sir Ian Botham. Jos Buttler hit the fastest Twenty20 international half-century by an Englishman to lead England to 28 run victory over Australia in the recently concluded only T20I on 27th June 2018 at Edgbaston. England scored 221-5 their second highest ever T20I score. Jos Buttler in action at Edgbaston during the one-off T20I against Australian on 27th June 2018. pic credits : Getty Images. England played their first ever Test Match against Australia at the MCG in Melbourne from 15th March to 19th March 1877. Australia won this match by 45 runs. James Lillywhite (jnr) Led England for the first time in their debut Test against Australia in 1877. He was a left-arm spinner. At the same venue (MCG) England won the second Test defeating the Aussies by four wickets. They were down 9/3 but George Ulyett hit crucial half-century to chase down the target of 121 and led the team to their first ever Test win. Allen Hill, a round-arm medium paceman became the first wicket-taker for England. He bowled out Aussie Nat Thomson in that first historic test for just one run and finished with the figures of 4/27 in the first innings of the second Test. Willam Gilbert aka W.G Grace hit the first ever century for England. He scored brilliant 152 runs off 294 balls in the only Test against Australia at the Kennington Oval. The test started on 6th September 1880 and concluded on 8th Sept 1880 with England winning the game by five wickets. For Grace, it was a hundred on Test debut. John Selby became the first England player to be dismissed in Tests. He was dismissed by John Hodges for an 7 runs off 18 balls on the second day of that inaugural Test. England won their first ever Test series at home when they won that only Test Match against Australia at the Kennington Oval when they toured in 1880. W.G Grace got his hundred on debut in the same game and it was the first ever hundred for England as well. England won the game by 5 wickets. Alfred Shaw ,the slow right-arm bowler became the first England player to claim a five-wicket haul in that historic debut Test. He finished with the figures of 5/38 in the second innings of the First Test. Jim Laker became the first England player to claim a ten-wicket haul. He achieved this feat in the 4th Test against Australia in July 1956. With his off-spin he finished with figures of 9/37 in the first innings and went to take all ten wickets in the second innings finishing with figures of 10/53. The visitors were bundled up for 205 as they followed on. The game started on 26th July 1956 and ended on 31st with England winning the game by an innings and 170 runs making Old Trafford (Manchester) crowd happy. England played their first Test against India in 1932 and have dominated India since this game. Out of their total 117 games against India England have won 43 lost 25 games. They have defeated India in 30 of their home games.England and India have played six Tests at Edgbaston in which England have won 5 games and one game ended in a draw. India are yet to win here. Our Squad for today’s game. pic : Getty Images. And yes Jos Buttler is named as Joe Root’s deputy for the series. Both the Skippers posing with the trophy..
And lastly now lets have a look at a few of England’s previous Test Records. Source and Credits : The Times Of India. 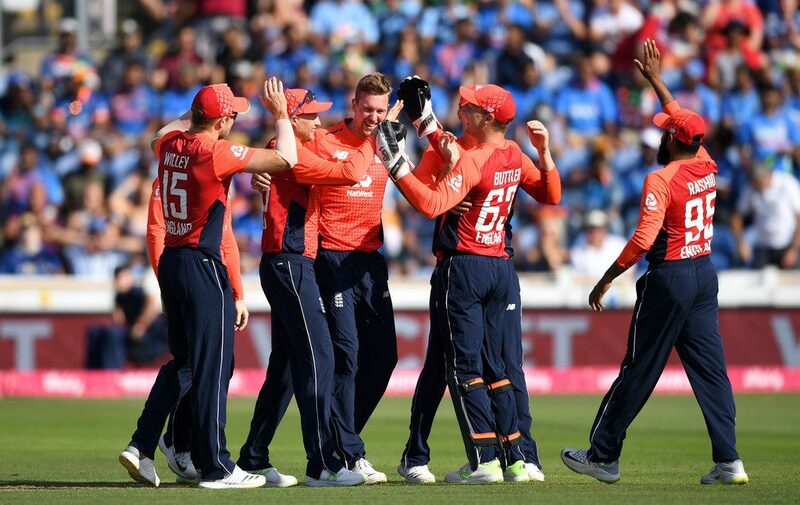 Previous Previous post: ROOT , RASHID AND MORGAN LEAD ENGLAND TO 2-1 SERIES WIN!! Next Next post: ENGLAND WIN THE 1000TH TEST!